Showing 1 - 20 of 295 results. American National Standards Institute (ANSI) / American Society of Mechanical Engineers (ASME)ANSI/ASME A17.1-2007/ B44-04 Safety Code for Elevators and Escalators Includes Requirements for Elevators,Escalators, Dumbwaiters, Moving Walks, Material Lifts, and Dumbwaiters with Automatic Transfer Devicesusing EN 12016:2004 immunity requirements. This document describes how SI-EP3 & SI-EP3/V comply to the PROFIdrive standard. PROFIdrive is a standardized method, within the Profinet protocol of accessing and controlling a drive. It allows for the replacement of a drive that conforms to the PROFIdrive profile with any other conforming drive regardless of manufacturer. This document describes the derating of A1000, V1000, J1000, and Z1000 Yaskawa drives. 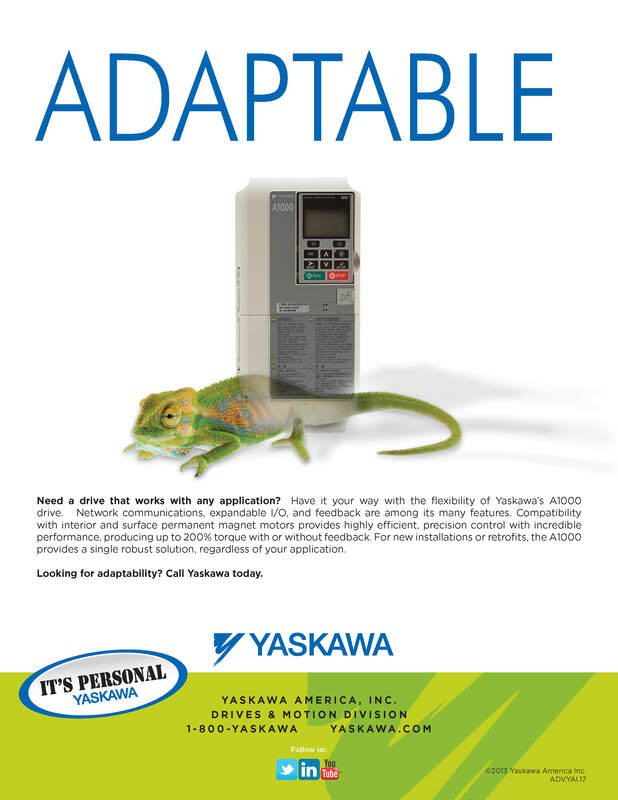 How to select and set up speed search on applicable Yaskawa Drives. The following application note provides the user with basic instructions on how to quickly configure a Marathon Symax Permanent Magnet motor using a Yaskawa drive. 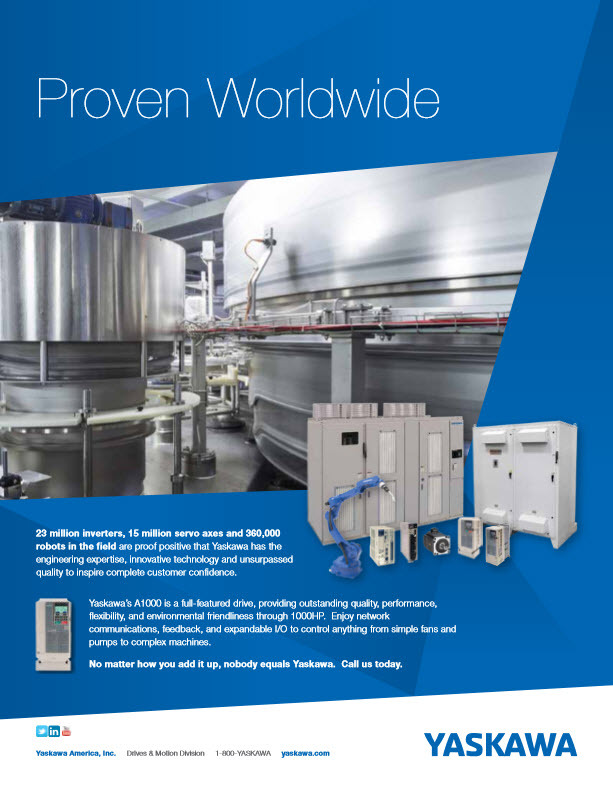 Document provides application overview of the drives mixer application and benefits utilizing Yaskawa A1000, V1000, or V1000-4X drives.